ok then, today’s fact might actually be the first thing i’ve written that actually has some form of pub quiz merit 🙌🏻 like, not a pub quiz at a decent establishment but maybe one at an ok holiday resort. 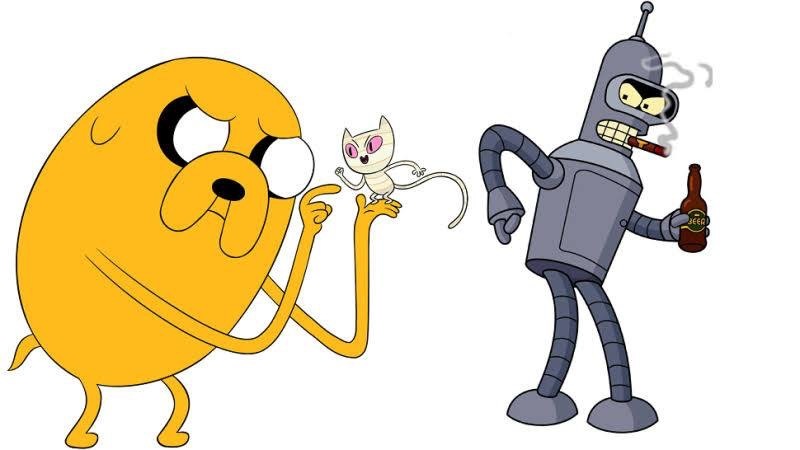 1) what’s adventure time and who is a futurama? 2) how in god’s name didn’t you already know this?! for those of you that are still with me, this came about randomly whilst i was watching futurama for the first time in about 1000 years (they’ve stuck all the episodes on now tv 🙌🏻). the voices of both jake the dog and bender are done by a dude called john dimaggio and are among many many voices that he has done. apparently (i love a cartoon but i’m no expert) john is widely known as one of the greatest voice actors of our time; lending his voice to characters in everything from the aforementioned classic futurama, a the way through to batman: brave and the bold. right, well, i guess that’s all for today 😂 whilst this one was very short and it seems pretty useless … it legit might come in handy at a pub quiz one day! especially if you go to one that’s super modern and trendy (and for children) 👍🏻.